As I write this post, I am sitting at a recently opened cafe with a cup of filter brewed coffee. This isn’t about the origin, quality, or even the cafe itself; I simply started to think about the coffee industry’s obsession with brewing options. 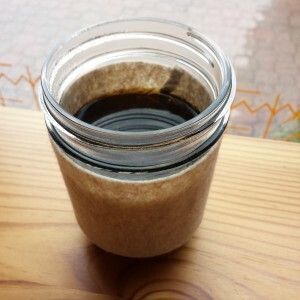 I have seen a lot of buzz about the “proper” or “best” way to make coffee, and while I sit here and enjoy this cup let’s look at the variety of what I consider the simplest form of coffee that we serve, filtered coffee. Brewing filter coffee is the simplest thing ever, right? 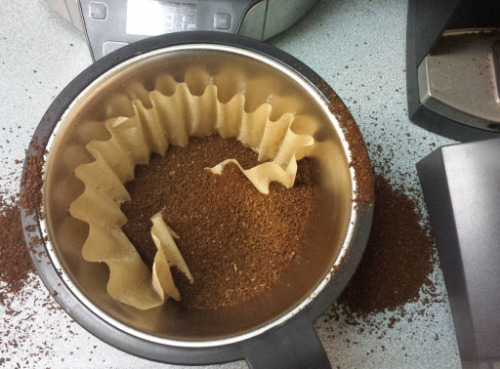 Weigh and grind the coffee, put it in the paper filter in the basket, and push the button. If everything is calibrated and functioning properly it really can be that simple. Newer brewing machines have controls over temperature, pulsing to bloom the grinds, consistent shower heads to wet the grinds evenly, and adjustments to change the time of various parts of the brew. When I began working in coffee the only way I knew to brew coffee was with a batch brewer. 2 or 3 liters per brew was the norm, and we stuck to the “Gold Cup Standard” in our brewing parameters. I have to say that the coffee we brewed was really great (though who knows where my palate development was at the time)! For variety we brewed a number of roasts, blends, or decaf (and flavored coffee, but let’s try to forget about that one). This selection was the fastest, most convenient way to buy coffee and we even put out a “grab and go” stack of cups with a dollar jar for the regulars. We sold a lot of cups. Of course if you have been exposed to specialty cafes in any way in the past 5 years you have at least seen a pourover brew. Chemex, Hario, Kalita, and a slew of other brands represent ways to pour hot water over coffee grinds. In the most simple sense this is a way to make a single, small batch of coffee fresh to order without wasting any product. Pourover brewing, or manual brewing, is considered by some to be the ultimate way to get the best flavor from a given coffee. 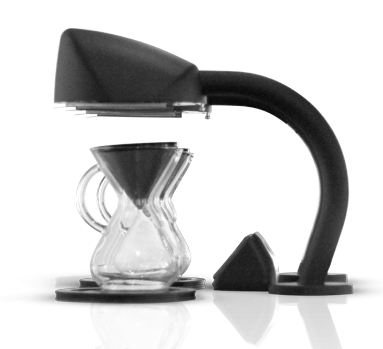 Pourover coffee adds control over variables in the brewing process. Water temperature, water flow, and turbulence are now completely controllable by the barista in addition to coffee/water ratio and extraction time. Of course the more variables you have in hand, the more opportunities you have to make terrible coffee. In my opinion there are pros and cons to batch brewing and manual brewing alike. Can I get a coffee, but something a little less intense? You might be asking yourself why I am making these comparisons at this point. Many people feel that batch brewing is antiquated, and manual brewing is the only way to brew properly. The funny thing is that manually brewing coffee is a far older process than auto/batch brewing. The thing that arguably made manual brewing come back in vogue in the U.S. was the incredible popularity, and subsequent sale of the Clover brewer to Starbucks. We created a demand for single cup brewing of high dollar and exquisite coffees. 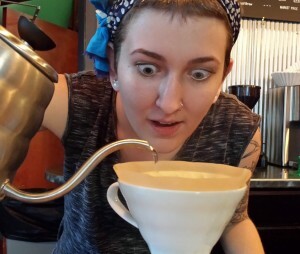 When the super cool and stylish and trendy and expensive Clover brewer lost favor with the masses (of coffee folks), the manual pourover was the obvious solution. Enter the newest assortment of automated, single cup brewers. There are a lot of brands out there but the goal is to get the ease of use and consistency of a batch brew with the versatility and individuality of a manual brew. What single cup auto brewers bring is another option for the savvy cafe owner. I believe that all of these forms of brewing coffee are here to stay. The important thing to take from all of these musings of mine is that the best way to brew coffee is the way that works best for your needs. A cafe a should choose their equipment with care. Batch brew all day? Only in mornings/rush? Manual only? A custom setup with only single cup auto brewers? Everyone’s needs are different, so there is no universal answer. If you just want a great cup of coffee though, don’t be afraid of a specific method. If you are making your coffee, pick a simple and effective method that requires as much as you want to put into it. In the end, the coffee should just be approachable and really really tasty.